Here in California autumn will arrive no sooner than October, but I’m very much looking forward to it. 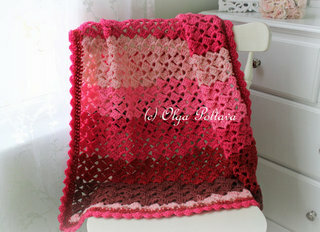 I have this beautiful shawl to keep me warm and cozy on chilly autumn evenings. 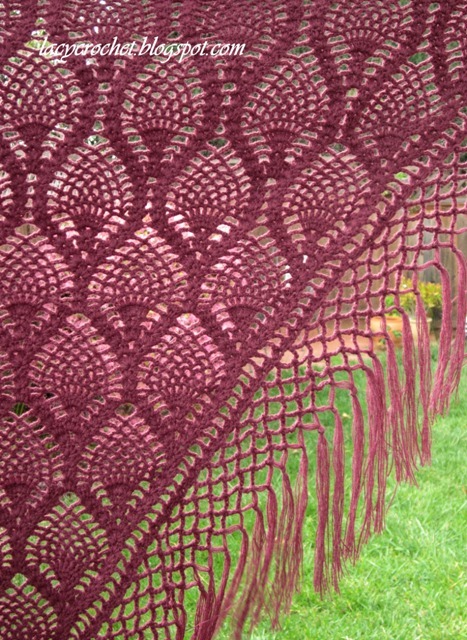 My mom crocheted this shawl earlier this year. 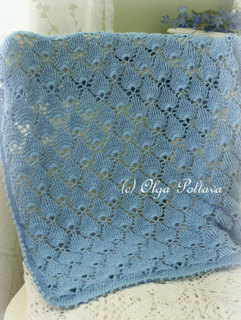 Since I already have two shawls that my mom made, I tried to sell this one on Etsy. I didn’t have much luck, and I’m actually glad. 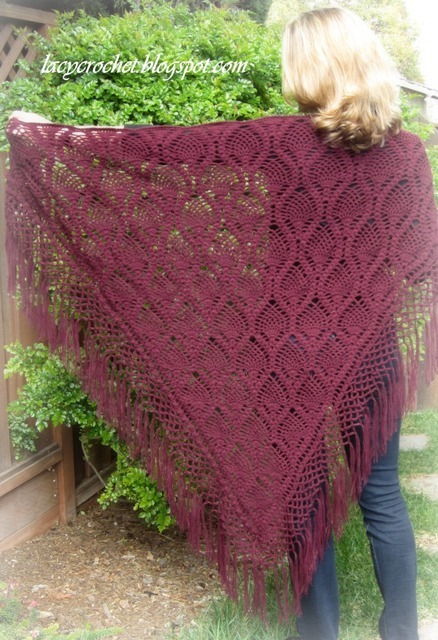 One day I realized that no other person will value and cherish all the work and love my mom had put into this shawl as much I do. 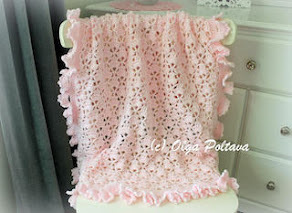 So I removed the shawl from my Etsy listings. 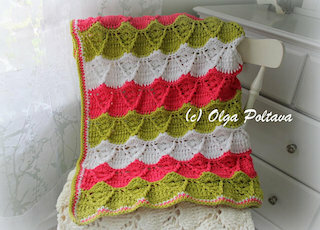 I believe the pattern was from a Russian crochet magazine (usually that’s where my mom gets her patterns from), but I don’t know which one exactly. 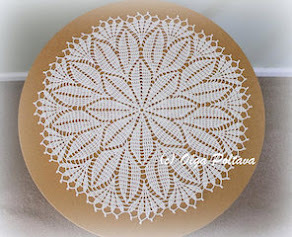 In addition to the hot pad, I now made a trivet for my kitchen. I didn’t follow any patterns but came up with my own. 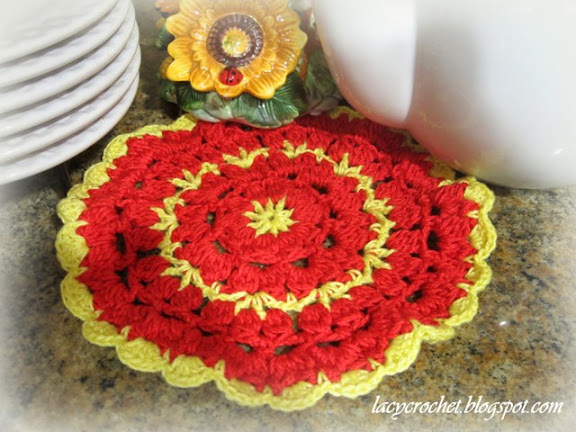 I used the same red and yellow mercerized cotton thread that I used for the hot pad. 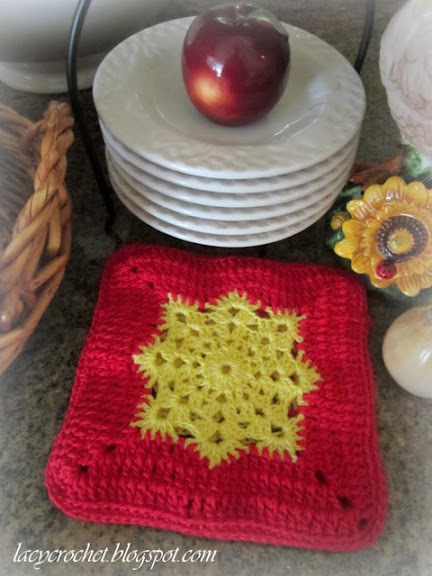 Now I only need to crochet a tea pot cozy and, perhaps, a couple of dishcloths (if there will be enough thread), and I will have a complete red and yellow set for my kitchen. 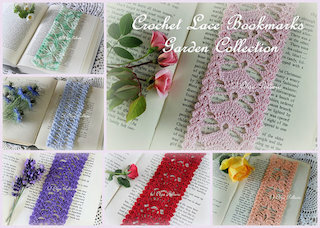 I am taking a little break from thread crocheting as I have several yarn projects in mind. The first one is a hot pad for my kitchen. 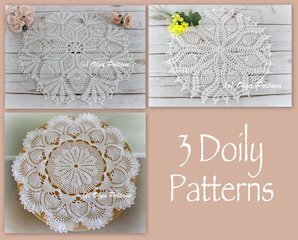 I found the pattern at Gracious Rain. 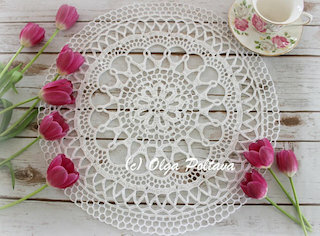 It was the doily-like middle of this hot pad that drew my attention. I used mercerized cotton in red and yellow colors that I had in my stash. 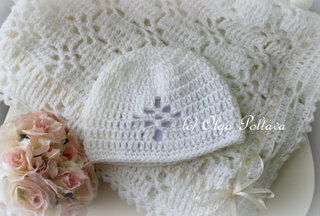 The hot pad in the original pattern was done in white and blue, which looks very pretty too. 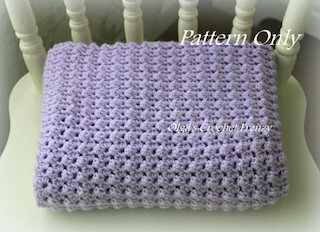 I had to add one extra round of double crochets to make my hot pad bigger. The pattern is well written, and I did not have any trouble following it. 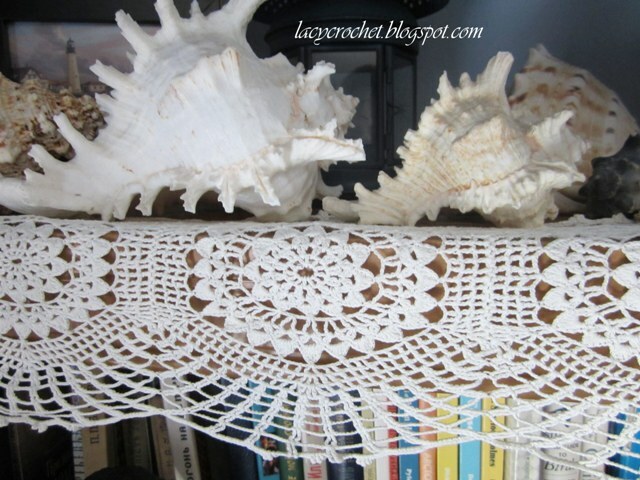 This is a vintage doily-runner that my mom made many years ago. 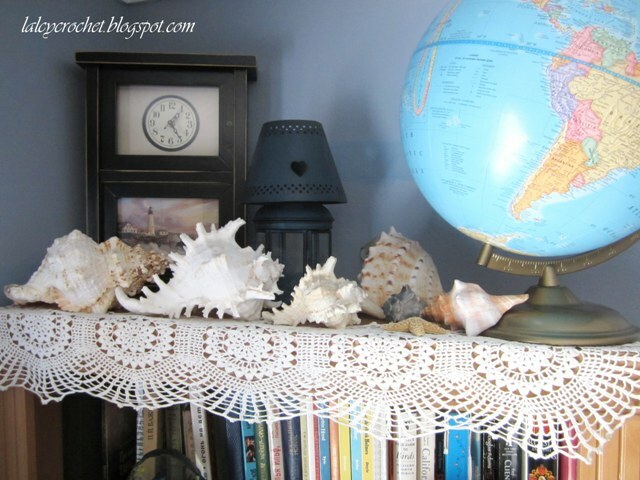 I placed it in my oldest son’s room on top of his bookcase. It really looks like it belongs there! 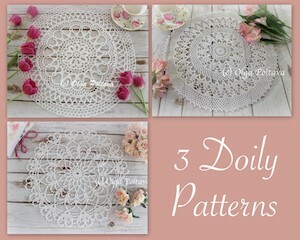 I’m sure when my son becomes older, he won’t want any doilies in his room. But for now he doesn’t mind! 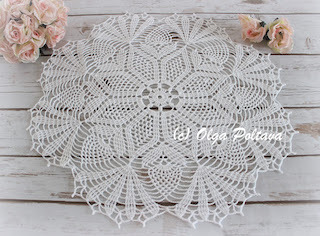 Doily of the Week is going to take a break for a couple of months as I have several crochet projects that I want to focus on. 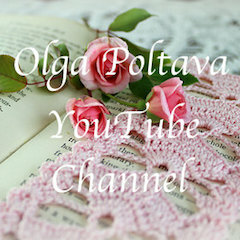 I'm linking to Make It Pretty Monday at The Dedicated House. 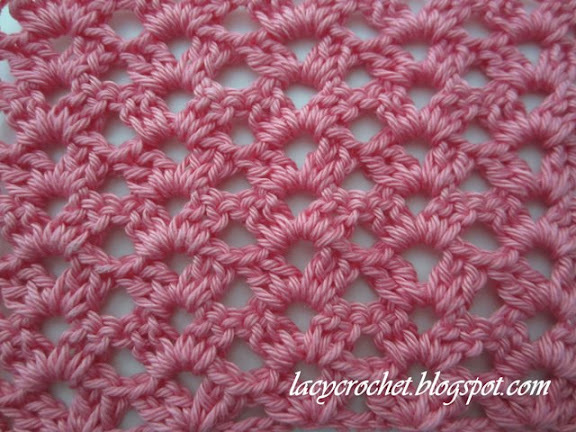 This pretty lacy stitch is very easy, but it looks quite lovely. 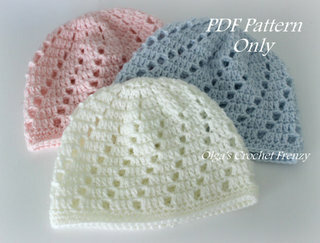 It’s perfect for beginner crocheters. * * repeat instructions between asterisks as many times as there are stitches to accommodate them. 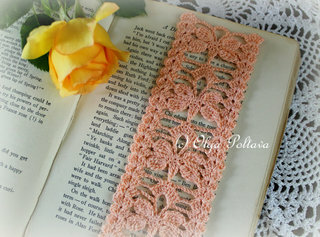 Row 1: *sk 5 ch, (2 dc, ch 3, 2dc) all in next ch*; sk 3 ch, dc in last ch. Ch 3, turn. Row 2: *(2 dc, ch 3, 2 dc) all in ch-3 space*; dc in top of turning ch. Ch 3, turn.